Much of a society’s resources are devoted to dealing with, or preparing for the possibility of, crime. The dominance of concerns about crime also hint at the broader implications that offending has for many different facets of society. They suggest that rather than being an outlawed subset of social activity, crime is an integrated aspect of societal processes. 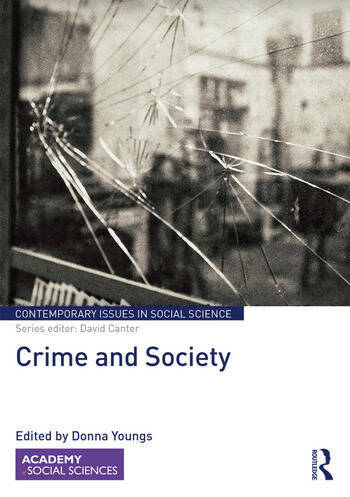 This book reviews some of the direct and indirect social impacts of criminality, proposing that this is worthwhile, not just in terms of understanding crime, but also because of how it elucidates more general social considerations. A range of studies that examine the interactions between crime and society are brought together, drawing on a wide range of countries and cultures including India, Israel, Nigeria, Turkey, and the USA, as well as the UK and Ireland. They include contributions from many different social science disciplines, which, taken together, demonstrate that the implicit and direct impact of crime is very widespread indeed. The chapters in this book were originally published as a special issue of Contemporary Social Science. Donna Youngs is a Reader in Psychology at the University of Huddersfield, UK, where she directs the doctoral program in Investigative Psychology. She has published on many aspects of criminality and criminal psychology. Her particular interests are in criminals’ personal narratives and their experiences of crime.